Although you'll have to wait until Windows 10 to get this feature back, you can have it right now on your Android device. 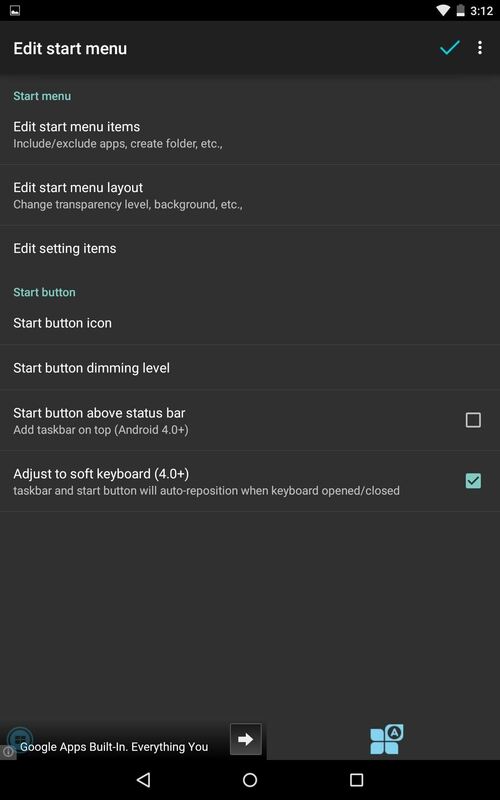 Today, I'll be showing you how to apply a Windows-style start menu on Android by using developer AntTek's application, Taskbar. 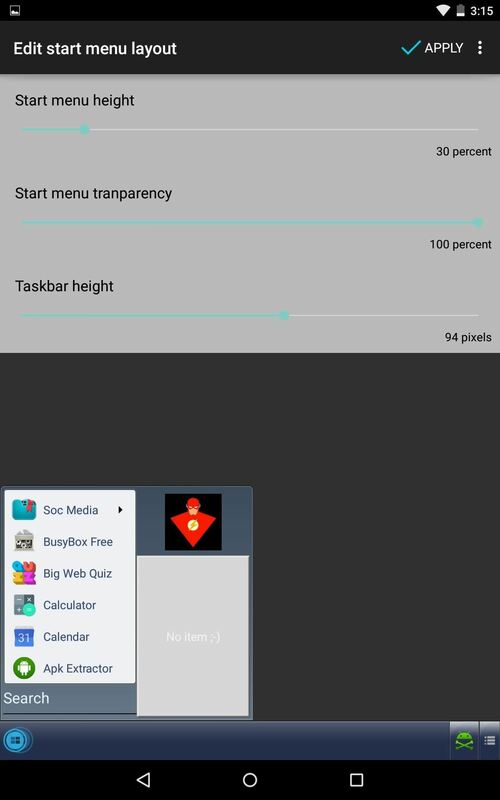 Head to the Google Play Store and install Taskbar by Root Uninstaller (aka AntTek), which will let you launch apps, toggle settings, or select contacts, all from the Taskbar. The app does not require root access, but if you have it, you'll have the benefit of some additional functionality. Open the app to begin customizing it to your tastes. The first thing you'll want to do is enable Taskbar, then select "Edit start menu" to tweak it. The preferences provided will allow you to select the apps in the menu, adjust their order, create folders, add additional toggles, as well as adjust the layout of the menu itself. 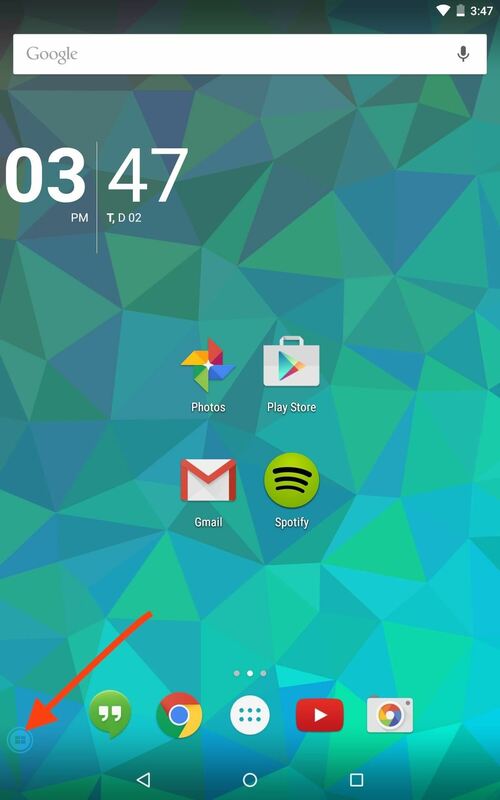 You can also add settings to the taskbar, such as toggling Wi-Fi and location services. 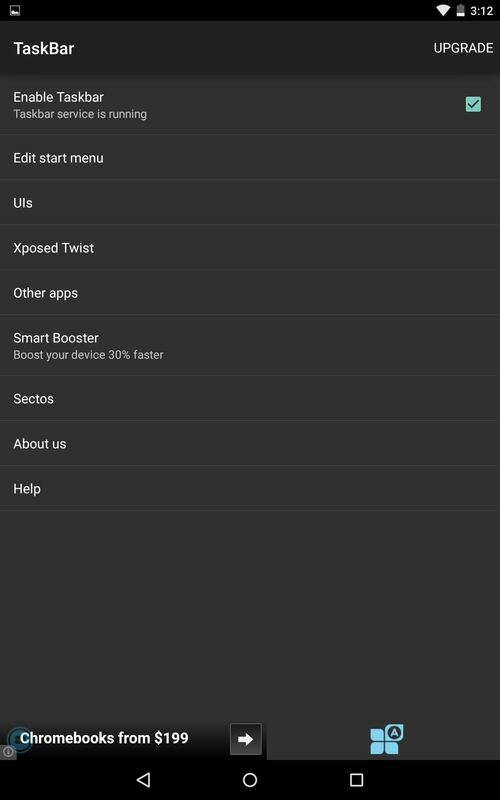 If you're using a rooted device, you can also add reboot and shutdown options. To activate your start menu, simply tap on the faint Taskbar icon—you can move the placement of this icon by tapping and holding it, then dragging it to your desired location. 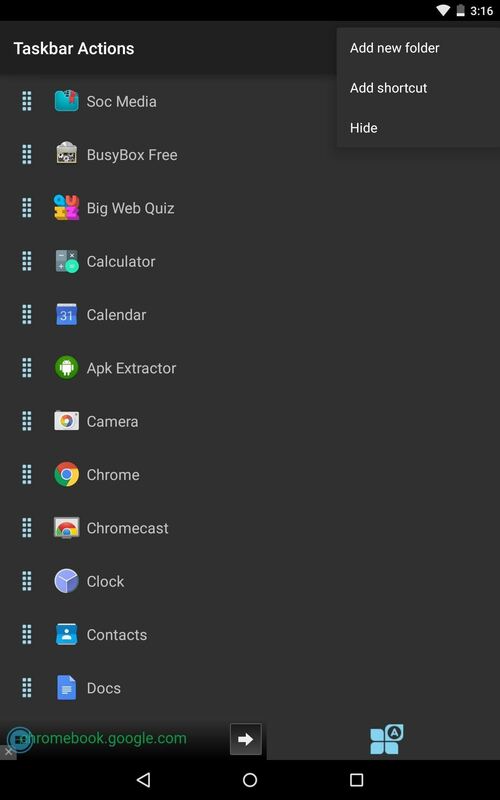 There is a premium version available for a $1.99 in-app purchase that will remove ads, provide more options for the taskbar icon, change themes, and create an unlimited number of folders. If your device is rooted and running the Xposed Framework, you will also be able to place the Taskbar icon in the navigation bar for a truly seamless experience. 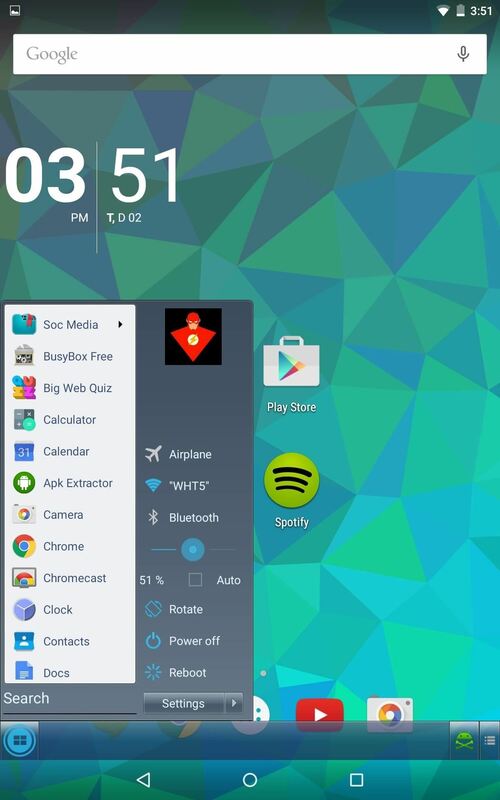 Let us know what you think of Taskbar in the comment section below, or hit us up on our Facebook and Twitter feeds.